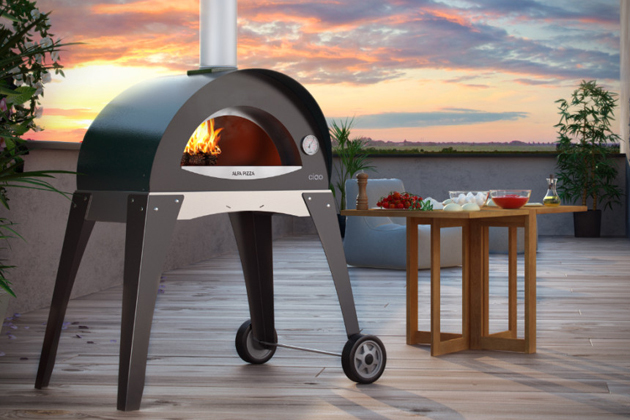 The CIAO oven is assembled without the need for tools. CIAO oven is made of refractory material like pizzeria ovens. Bakes up to 30 pizzas and one kg of bread per hour. The CUPOLA’s shape resembles the domed wood-burning ovens used by traditional pizzerias. Wood-fired oven already insulated within the refractory. Operates in the same way as wood-fired ovens of the past. 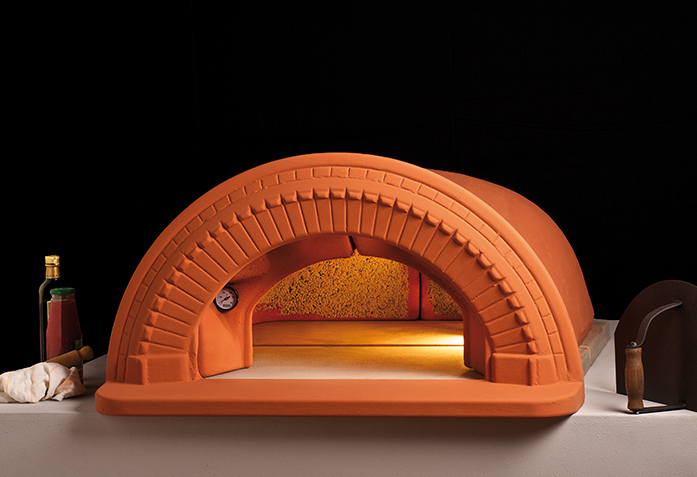 Wood-fired oven made of lightweight refractory and easy to assemble. The smallest modular wood fired oven available. This oven can cook up to 3 pizzas and bake bread, cakes and roasts. Shown with optional arch. 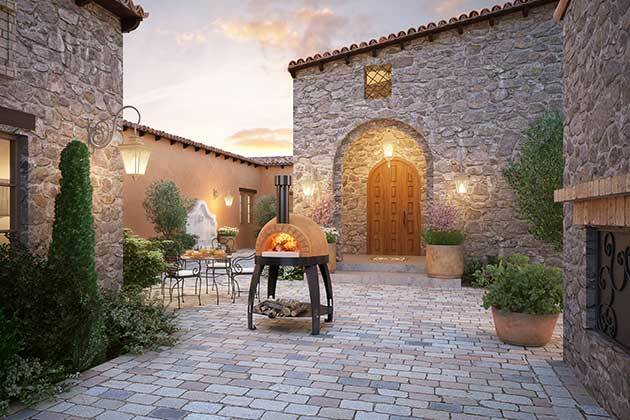 The Punto Pizza oven can bake up to 3 pizzas at a time. The GUSTO gives a traditional look ideal for your home and is the first wood fired oven designed exclusively for indoor use. Up to 8 pizzas in 15 minutes. The inner dome is made of thermal, light and robust stainless steel. The double ceramic fibre insulation retains heat for a long time. The cooking floor of the GUSTO oven is made of refractory material like pizzeria ovens. 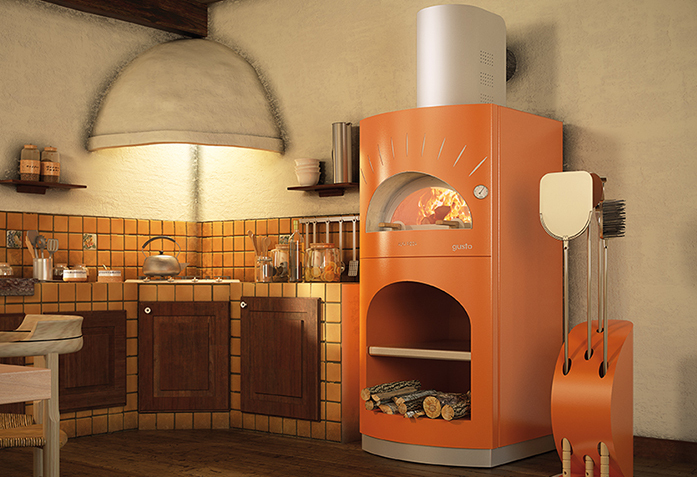 The GUSTO oven is available in two colours, Pearl and Pumpkin. Cook a range of different foods from pizzas, roasts, deserts and much more. The Ciao heats up in a few minutes and its stainless steel vault maintains a constant temperature with small amounts of wood. The cooking surface of the CIAO oven’s refractory tiles give the food a unique aroma and crispy texture. CIAO is available in three different colours; green, grey and yellow.